This document outlines how to find the Canvas course number. Every course in Canvas (even an unpublished course) has a course number to uniquely identify it. Conveniently, the Canvas course number forms a portion of the course's URL, and is therefore quickly identified via two different methods. You will need this number if you contact the Help Desk for assistance. 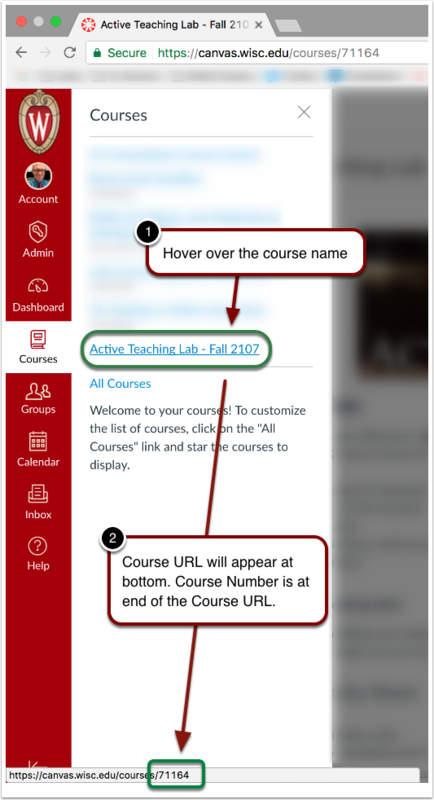 To locate your course's Canvas course number within the course URL (browser address), navigate to your course's homepage. For example, from your Canvas dashboard, click on a course name. On the course homepage, the course number will appear at the very end of the browser URL. In the example below, the Canvas course number is 71164. 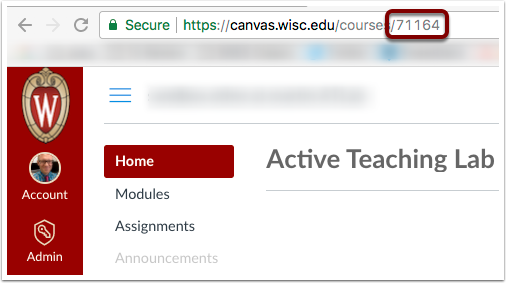 You can also locate a Canvas course number by hovering your cursor over a course name. This method works within the Courses pop-up menu (seen below), on the All Courses page, or on your Dashboard.